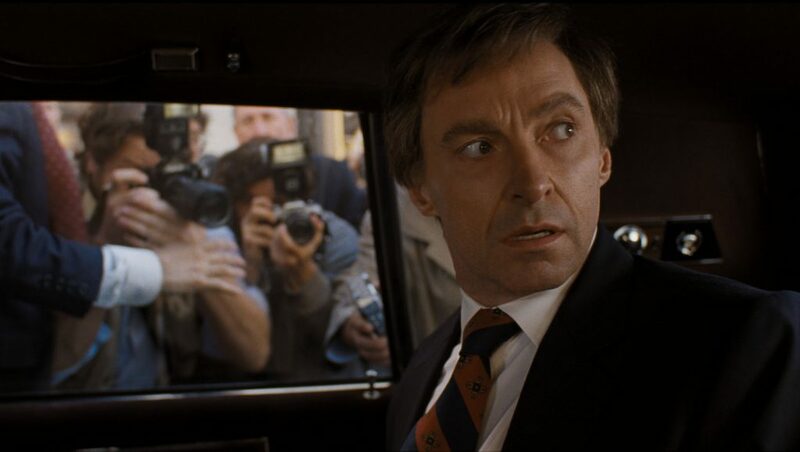 In this handsomely produced drama, director Jason Reitman works with Hugh Jackman to explore that moment when covering politics became tabloid journalism. Does a leader’s personal life matter? The old saying goes that if a man can’t stay true to his spouse, who’s to say he will stay true to his nation. In the late 1980s, popular Democrat Senator Gary Hart naively believed that the press would ignore the stories of his infidelity. Maybe it wasn’t naivety, rather, maybe it was arrogance. 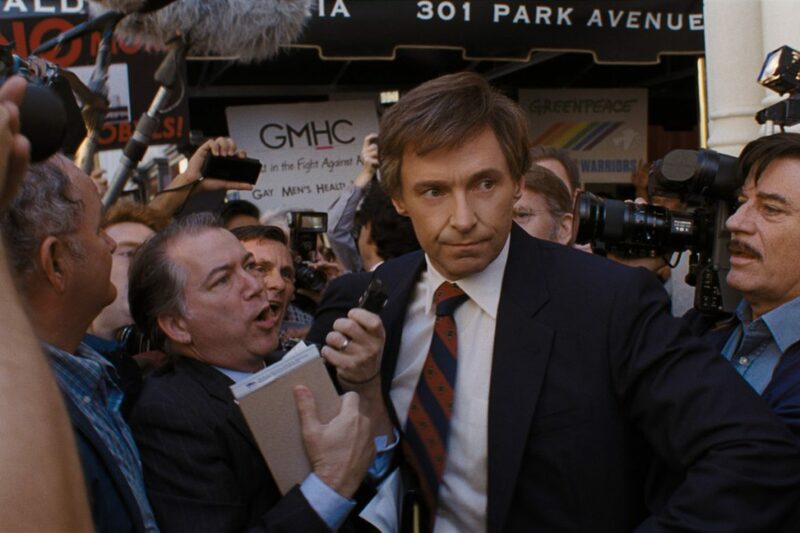 “The Front Runner” gets the time and place down perfectly. Shot on 35mm film with vintage lenses, everything looks exactly right. When the action moves to Florida, you can almost feel the humidity. And when Hart announces his campaign in the mountains of Colorado, there is a fresh crispness in the air. Into those authentic settings are placed the seedy events that brought down the Democrat hopeful. The problem with the story, I think, is that what happened just isn’t seedy enough for cinematic treatment. By today’s standards, this old scandal seems tame—Weiner, anyone? Charting Hart’s first presidential campaign loss to Vice President Walter Mondale in 1984, we see Hart (Hugh Jackman) forming into an experienced policy wonk. A forward-thinking, good-looking guy with modern ideas, he was dubbed the “Atari Democrat.” Immersed in ideology and specific policy positions, we see him spending hours drafting speeches with his advisors and making last second changes to speech copy. He’s informed. He’s smart. He’s, also, terribly flawed. His wife, Lee (Vera Farmiga), is by his side during key press events, but privately, there’s a bit of distance between them. Sure, Hart plays the husband and father role, but his mind and maybe his heart is elsewhere. It is not a spoiler to reveal that Hart’s turning point is an affair with Donna Rice. That relationship, uncovered early during the Democrat primary, effectively ended Hart’s campaign in May of 1987. And in the film, we see the boat, aptly named “Monkey Business,” on which he is said to have met Rice. But for some reason, we never see the photograph aboard that Miami yacht that precipitated in his downfall. Recently, it has been revealed that the entire thing might have been a set-up, a political hit job that preyed on Hart’s weakness for women. Also, not covered in the film is the fact that Hart did get back into the race in December of that year only to withdraw again. Was this another display of arrogance? Or more naivety? 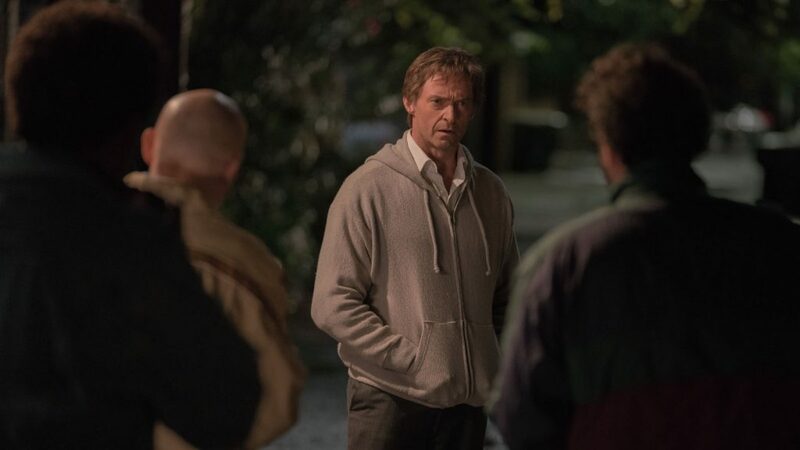 Hart is played by Hugh Jackman. Early, he seems to adopt a perfect accent and manner as the infamous politician. But as the film progresses, he just becomes Jackman. 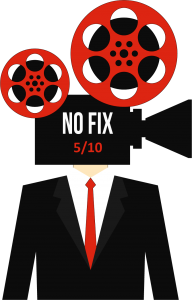 An extremely likable leading man, Jackman can carry a film, even, as here, a lesser one. But his charisma is impossible to diminish, especially, when the role requires him to be wounded. And because he really never looks bad, ever, on camera (okay, maybe in “Les Misérables” and parts of “Logan”), the script has to work extra hard to make us feel his character’s pain. And making us see Hart devolve as the affair destroys his political ambitions proves to be a high hurtle. The story never gets dirty enough. And even as Hart is shaken by the stunning events, Jackman hardly loses his matinee presence and good looks. Maybe that is the point of the film. Hart looked the part even at the end, but underneath, he was all wrong. It is that underneath that we needed to see more of here. Not given enough attention by director Reitman, who works from a script he co-wrote with two other writers, is Donna Rice (Sara Paxton), the other woman at the center of the affair. In her late 20s in 1987, Rice was forced to withdraw from public life as the press came crashing in. Her story, ironically enough, could have provided an edgier perspective. And while it’s hinted at in “The Front Runner,” Rice is merely given surface treatment. Worse, despite a line of dialogue that mentions her education, Rice comes off as a pretty face that was easily manipulated by Hart for his own carnal pleasures. 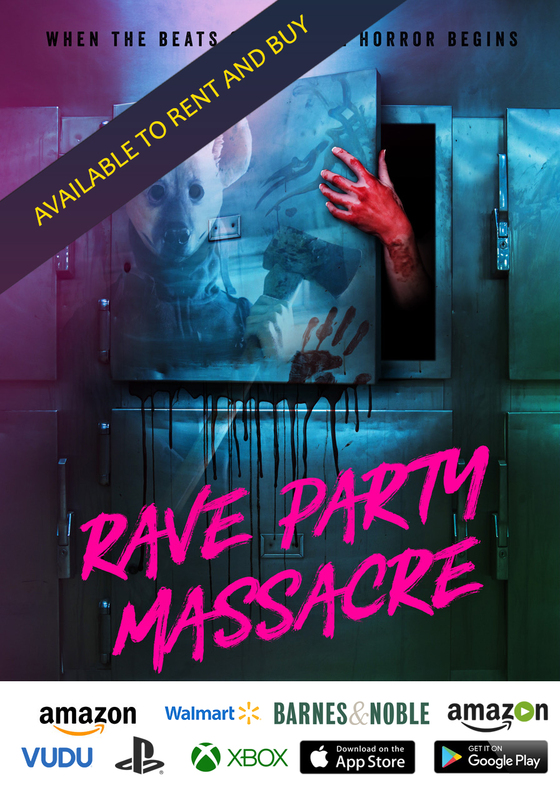 And Lee Hart’s story is equally intriguing. In an end credit sequence, we’re told that she and Gary, who is now 81, are still together. And that speaks volumes about their relationship. The script tip-toes around exactly how much Lee knows about her husband’s extra-marital relationships. Was there an understanding between them? Apparently, there was, however, this aspect is lightly suggested in the movie, which again undercuts the potential for a more complex and gritty story. 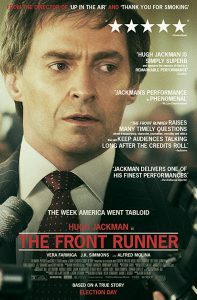 What we get with “The Front Runner” is a one line comment on political history. In 1987, the personal life of a candidate became the big story. Infidelity took down a potential President. The mechanisms and procedures hastening his demise are on display, but we aren’t given any suggestion why Hart made such a reckless decision. Was it the old ways that such a forward-thinking, modern candidate wanted to take advantage of? Possibly, but Reitman keeps us at a distance from Hart the man, and instead giving us the image with little of substance uncovered beneath. 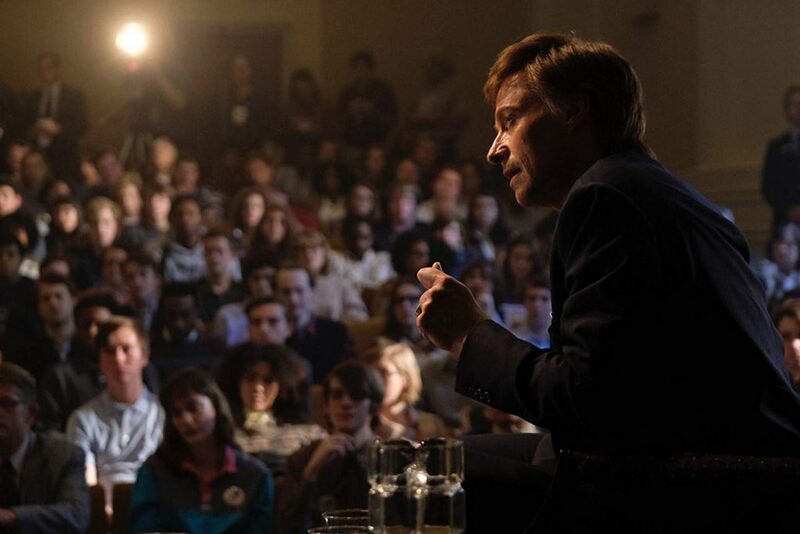 “The Front Runner” blandly covers a footnote in political history, without giving us a clear perspective that allows the viewer to make sense of Hart’s key character flaws.